Our 1st Southwest Constellation Symposium on Dec 6/7, 2014 in Santa Fe, New Mexico will focus on coming together and creating a strong constellation community in the Southwest. This symposium will celebrate our local communities in Santa Fe, Albuquerque and beyond, by meeting in the “Knowing Field”, sharing our knowledge and learning from each other. Our program invites facilitators, students and everybody who is drawn to constellation work. Our goal is to empower each other for more collective and personal healing and professional growth. We honor Bert Hellinger as the one who initiated constellation work in Germany and we embrace his students who passed on the knowledge and gave facilitators all over the world the opportunity to create their own unique approach to constellation work. Our intention with this symposium is to come together as a greater community, to share our passion for constellation work and honor our different styles. We all belong and have our place in the “Knowing Field”. Description: Finding your way in the field can be difficult. Often a therapist will become immobilized, feel frustrated, alone, and set drift without a compass. This can be the result of hidden loyalties in the therapist’s family system, past trauma or fear, being activated by the client’s system. Supervision is an experiential approach that explores reciprocal influences between the therapist, the client, the representatives (group work) and the field. As practiced in Constellation work, supervision invokes inquiry that compels the therapist toward a deep introspection, while at the same time providing a safe space to develop heart and soul presence. Using Constellations as the primary method of inquiry, we will identify personal blocks, move with resistance, re-connect to our creativity, and find resources that help us remain open and present to our clients. Description: Not Knowing is a heightened sense of perception that escapes the boundaries of time and space and experience. It is the difference between regurgitated information and information that is fresh, brand new and exquisitely meaningful. Like ordinary knowing, not knowing is a state that can be learned and cultivated within the individual. I will share my own journey from Knowing to Not Knowing and provide some relevant experiences to support others along that path. Bio: Barbara hails from California and Oregon where she has been a licensed Marriage Family Therapist for quite some time. In 2003 she was introduced to Constellation Work and after five years of seriously studying, representing, experimenting and training, she began facilitating in 2008. She has had a successful constellation circle in Sacramento, CA for the last five years and is well known and recommended for her powerful private constellations. In the last three years she has been facilitating psychotherapy groups that use constellation work as a tool of integration and has been leading Money Workshop Intensives. In the future she looks forward to adding intensives for health, sexuality and self empowerment. Her focus in all of her work is intended towards healing our relationship with self; for out of that relationship, all else follows. Description: In 15 years of a full time praxis of Constellation Work extraordinary Constellations have happened, they came as a surprise and stretched the Knowing Field in new dimensions. I will tell the story of a few of those constellations and we will experience the wisdom of the greater soul. Bio: Hella Neumann earned her MA in Art and Education from the University of Berlin. She founded and directed for 18 years her own Art School, including Art Therapy, Bioenergetic, Biodynamic Massage.1994 she met Bert Hellinger and studied with him and his first generation of students. She began her own constellation work in 1997 under the name “Songs of the Ancestors”, leading Family Constellation workshops, private constellations and training facilitators. She remains in regular touch with Bert Hellinger and his evolving work, attending the national and international Systemic Constellation Conferences in Germany and the US. Hella has done intensive work with Malidoma Somé, Native Americans and Afro Americans, honoring the presence of the ancestors and coming into an exchange of love and blessings with them. Description: It is crucial to connect with a symptom instead of just “fighting” it. Illness is often embedded in the cross-generational context of a family and not reduced to a personal phenomenon. We will talk about how family members and ancestors can assist the effectiveness of medical treatments. Bio: Dr. Ursula M.L. Nickel, DOM is a Doctor of Oriental Medicine with a private practice in Albuquerque, NM. She received her Masters Degree in Oriental Medicine from the International Institute of Chinese Medicine (IICM) in Albuquerque, New Mexico. Ursula is nationally certified and state licensed. She has been involved in the Healing Arts for over 20 years. Her work is based on Traditional Chinese Medicine (TCM) and Five Element Theory, but she also uses principles from her Yoga tradition and from Constellation Work to deepen the effects of her treatments. 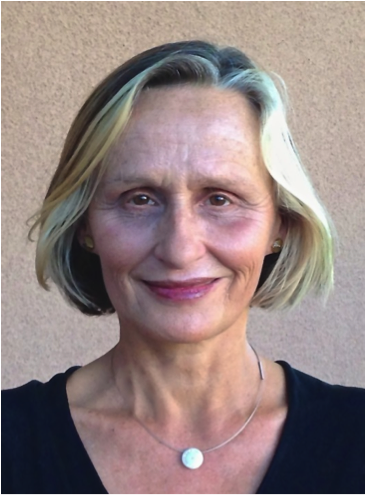 Ursula has been trained in Constellation work by Harald Homberger of Germany and has offered workshops and trainings with him from 2005 to 2009 here in New Mexico. In the last four years she has been facilitating constellations in group and individual settings and has created a vibrant constellation community in Albuquerque. Description: Camille will share her experienced working with hospice patients, where she identified numerous entry points for systemic constellation work at the end-of-life. Camille will also discuss how we may integrate the principles of constellation work in our daily lives. Bio: Camille Adair, RN is the President and CEO of Sacredigm and the Executive Director of the non-profit Living Bridges. Camille is the producer & director of the award-winning documentary, SOLACE: Wisdom of the Dying, the Solace Teachings, a health care thought leader and author. She is the founder of the progressive, sustainable health care models, FairCare and EQ|Health. Camille participated in a two year training program with Hella Neumann through Songs of the Ancestors. Description: In this practical and experiential talk, we will explore how Family Constellations rooted approaches can help practitioners and businesses thrive. Paul will demonstrate how it can be used to create resonate marketing, attract great clients and navigate business decisions with more ease. 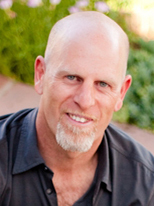 Bio: Paul Zelizer is one of the first business and marketing coaches to focus on the needs of spiritual entrepreneurs. He runs a global coaching practice supporting wisdom, spirit or mindfulness based entrepreneurs in growing their businesses to the next level – while staying 100% true to their integrity. He’s also the former Director of Social Media for Wisdom 2.0, one of the premier mindfulness brands in the world. Paul’s latest venture is Wisdompreneurs, a global network focused on bringing entrepreneurial skills to transformational leaders and to bring easy to implement wisdom practices to the entrepreneurial world. To help his clients connect to the core story of their business, Paul co-developed a process called Business Energetics – a blend of Family Constellations wisdom, energy psychology methods and conscious business practices. Description: A tension between individuality and community vibrates in every human life and enterprise. Here in the Southwest, this archetypal reality manifests in our relationship to the high desert, the land of the mountains at whose feet we build our lives. Can we live the psychological and spiritual values of our roots, and honor the desert? What does the desert require of us? How much can we allow ourselves to imbibe the values of the land we live in, and how much of our native values must we hold fast within us? What are we native to? Artist Andrew Fearnside will share aspects of his psychospiritual creative practice in exploring these questions. Bio: Andrew Fearnside grew up in the temperate hill country of suburban Massachusetts, and developed and affinity for the land at a young age. He completed two Bachelors degrees, in literature and fine art, at Tufts University and the School of the Museum of Fine Arts. Moving to Albuquerque in 2001, Mr. Fearnside completed a Master’s Degree in Counseling at Southwestern College in 2010, focusing on grief, loss and trauma, and began clinical practice at the UNM Cancer Center that year. Mr. Fearnside has participated in Jungian study through the CG Jung Institute of Santa Fe since 2010, and has completed continuing education in psychodynamic theory, the neurological basis of attachment and trauma, and dissociation. He has worked as a psychotherapist since that time, providing treatment and case management for a wide variety of patients.